I have been trying for weeks to get our patch up here but I keep receiving the same message that the upload path is invalid. So, here is where you can view our patch: https://www.facebook.com/media/set/?set=a.4326389685382.245382.1456372836&type=1#!/photo.php?fbid=4326389765384&set=a.4326389685382.245382.1456372836&type=3&theater This is the patch/logo for the Christian Martial Arts Ministry within Leeward Kenpo Karate. 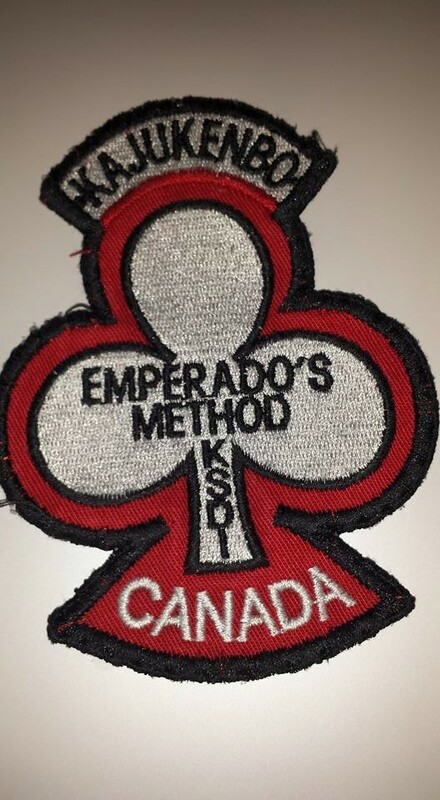 We have used this patch with the permision of Grand Master Louis since 1996. The patch goes on the right chest and the KAJUKENBO/Leeward clover goes over our heart.